Ontario’s provincial government wants a balanced budget for the 2017-18 fiscal year, and Finance Minister Charles Sousa is adamant that Ontario will reach that goal. On February 18th British Columbians will be watching to see if finance minister Mike de Jongs budget sets out a plan to deliver on his governments ambitious goals with respect to economic growth and job creation. And the truth is, the province needs it. The past year was a disappointing one for BC in terms of economic and employment growth compared to other provinces. With Ottawa on track to balance the budget, what comes next? Some people will say this budget is boring, finance minister Jim Flaherty remarked after unveiling Tuesdays federal budget. A careful look, however, suggests the minister might be understating the future significance of his budget. After running six consecutive deficits totaling $156.5 billion, Flaherty has been clear that balancing the budget in 2015-16 is his top priority. Budget 2014 reaffirms that commitment. With federal Finance Minister Jim Flaherty poised to unveil his 2014 budget on February 11th, early signs point to a business-as-usual budget with his government staying focused on eliminating the deficit in 2015 and creating the fiscal room to provide tax relief in next years budget  conveniently right before the 2015 federal election campaign. Another year has come and gone and Ontario's weak public finances remain largely unchanged. The provincial government did little to improve its fiscal position in 2013 and recently signalled it intends to continue with debt-financed spending into the New Year. But the status quo isnt serving Ontarians well. For 2014, the government should chart a new course that places provincial finances on a more sound footing. That would be a much-needed New Year's resolution for Canadas largest province. 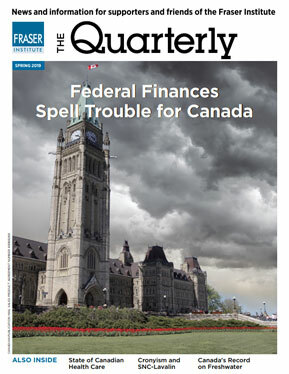 After federal Finance Minister Jim Flaherty unveiled his latest financial plan Tuesday, much of the media hype centred on the governments larger than expected surplus in 2015-16. Early chatter seemed to accept the government will deliver as promised and some declared its conservative assumptions might allow for the deficit to be eliminated even earlier. Therell be no doubt that were balanced in 2015, federal Finance Minister Jim Flaherty told reporters after recently meeting with a group of private sector economists. This is among Mr. Flahertys most categorical statements to date on his plan to achieve a balanced budget in 2015-16. But in light of recent economic forecasts and potential threats to the governments revenue projections, he would be well-advised to focus on further spending restraint  something he can fully control  in order to deliver on his promise.